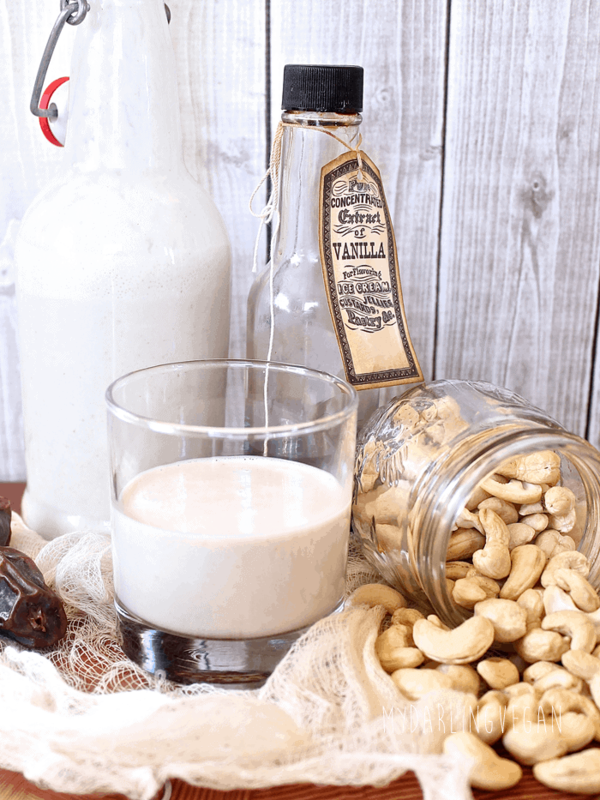 Thick, creamy, and incredibly delicious, you're going to love this homemade cashew milk recipe. Quick and easy and much more cost-effective than store bought. Place them in a high-speed blender like a VitaMix with 2 cups of water and dates and blend on high until cashews are completely broken down. Add the additional 2 cups of water, vanilla extract, and salt. Blend on high for 1 minute. Pour milk through a nut milk bag or fine strainer into airtight containers and store in the refrigerator for up to 5 days. To make cashew coffee creamer, decrease the amount of water to 2 cups.